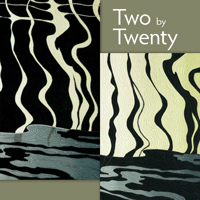 Two by Twenty is two exhibits in one. 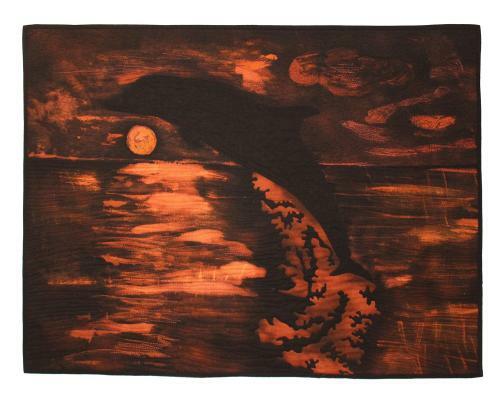 The first is a pairing of two art quilts by the same artist. Some are variations on a theme. With the same technique and subject matter, the artists explore subtle variations in line, color or texture to fully understand the material. Some pairs have a narrative element between them. The time of day has changed, or the viewpoint has shifted. These little differences invite the viewer to engage with the work in a kind of “first — then,” or “spot the differences” game. The second exhibit is the variety overall amongst all the artists. 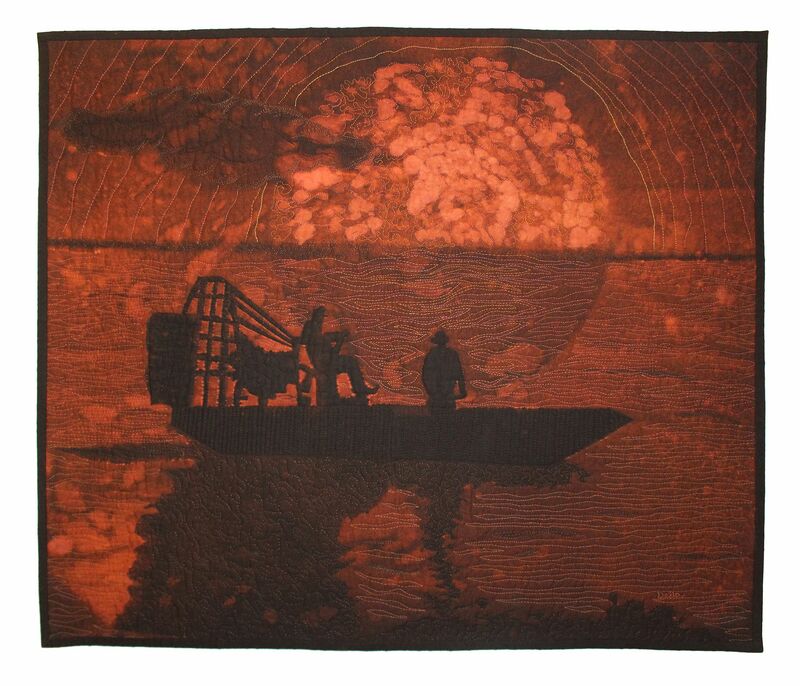 The pieces as a whole demonstrate the wide range of approaches in the quilt art genre. From bold and graphic to subtle explorations of texture and nuance, there is plenty to explore in this collection. This exhibition features SAQA artists whose work has not appeared in a SAQA exhibition which premiered in the past three years (this does not include regional exhibitions). 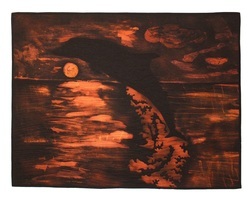 I have always loved water, dolphins and the moon — what better way to show the beauty of all three. The Tamiami Trail runs straight through the Everglades. Much of it is surrounded by wetlands and canals. Airboats are a very common mode of travel in these waters. This scene shows an airboat floating by on tranquil waters on a calm moonlit evening in the Everglades. I was proud it was chosen that year to represent the Swamp Heritage Festival at Big Cypress Preserve, Everglades National Park, Florida.